One of my little honey bee colonies is toast. A very small cluster for the first week of June. The queen is failing. She’s been on the way out for a while, but now she’s fading fast, laying small, spotty patches of brood over three or four frames, the entire brood nest contained within half of a single brood box (a single deep). The cold weather we’ve had for the past two weeks (well below 10°C / 50°F) hasn’t helped. I did a quick inspection yesterday and found a few patches of capped brood abandoned in the bottom deep, abandoned probably because it got so cold the bees were forced to cluster up top. I’ve never seen that before. Not good. 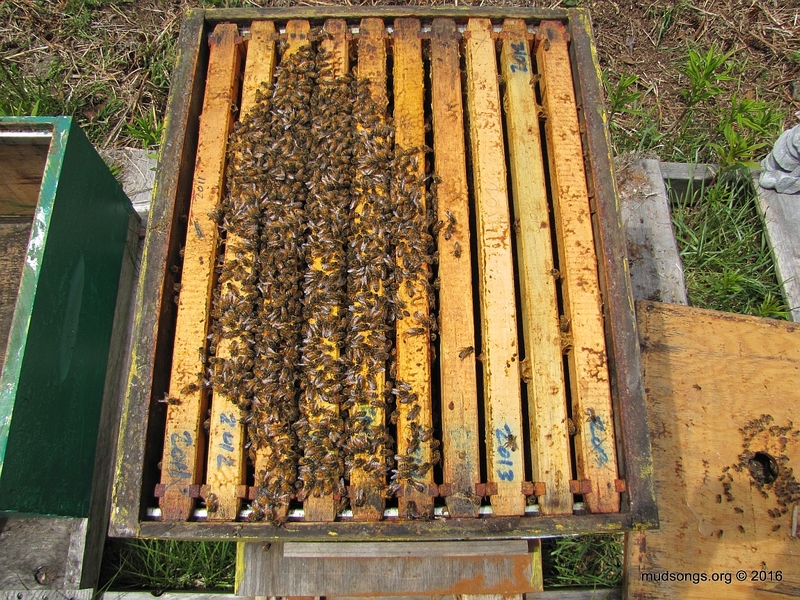 I reduced the hive to a single deep and put the abandoned brood frames in with the regular brood nest. I put on a jar feeder with honey. I don’t have high hopes. It’s possible the queen doesn’t react well to cold temperatures, that she needs a good warm spell to get into a strong laying cycle. But I doubt it. Now that I’m feeding them, maybe the bees will create a supersedure queen. But I have my doubts about that too. If there’s no improvement by next weekend, I’ll probably remove the queen, if she’s still alive, and add whatever is left to one of my healthier colonies. I added jar feeders full of honey to some of my hives about two weeks ago (the last time it was about 10°C / 50°F). The bees emptied the jars, so today I added some jars full of crystallized honey. And guess what? They like it! The weather stinks. It’s so cold the bees can barely do anything. None of my colonies are in great shape and this weather doesn’t help. Stupid weather. 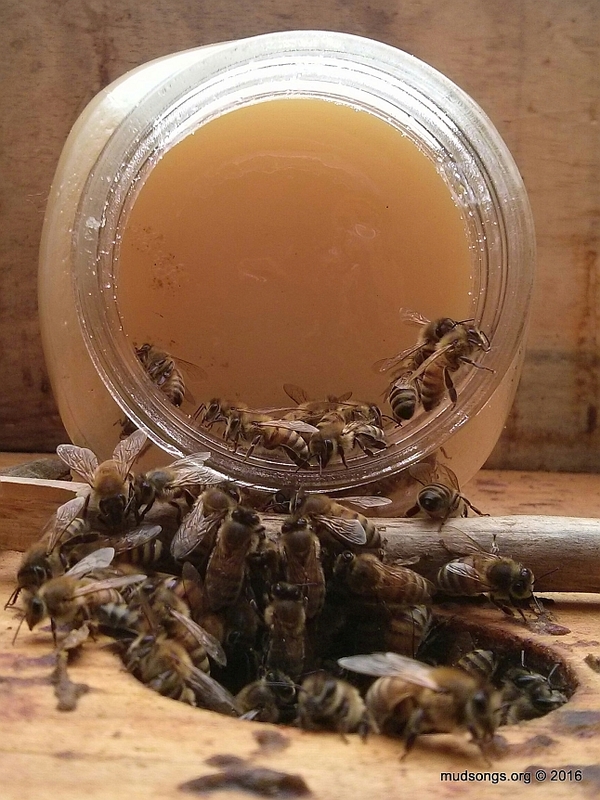 The honey in the video was rock solid crystallized honey. That’s seems like the best way to do it. 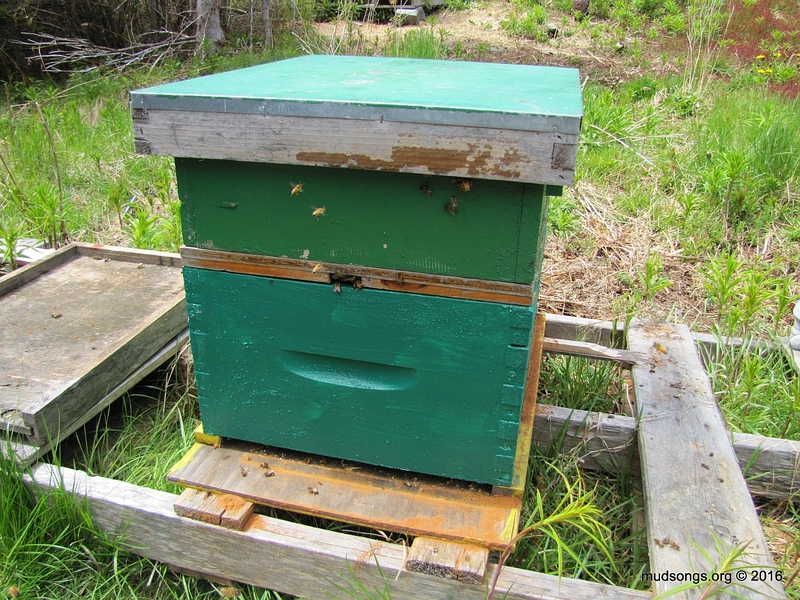 Pretty much every beekeeper on the planet is telling me how much honey their bees are making and how many swarms they’ve managed to catch this year — while here in Newfoundland my bees are still waking up from winter. 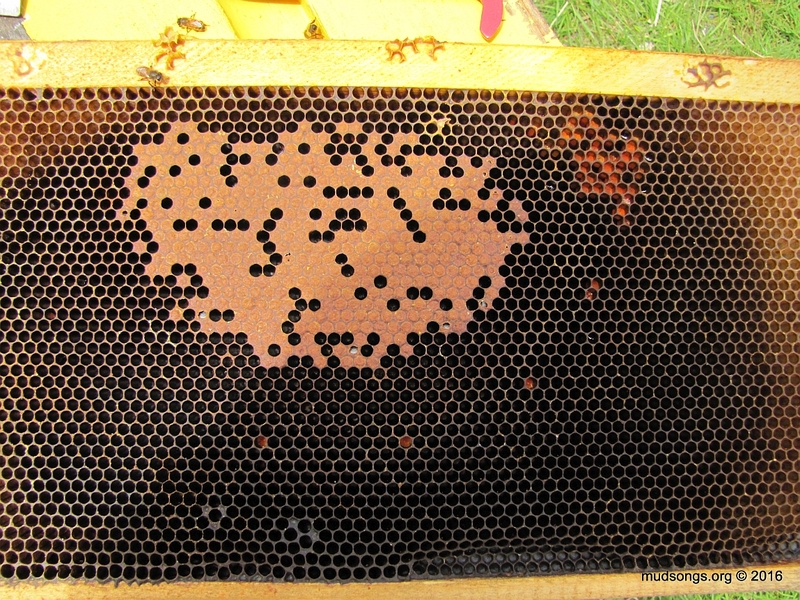 It’s an acute reminder that all beekeeping is local beekeeping. Let’s compare the weather forecast where I live with the weather forecast in Iceland. St. John’s, Newfoundland, weather forecast for May 16, 2016. Considering the windchill factor, the average temperature in St. John’s for the next week is 7°C (45°F). The average amount of sunlight per day is 5.8 hours. Reykjavik, Iceland weather forecast for May 16, 2016. Considering the windchill factor, the average temperature in Reykjavik for the next week is 7°C (45°F), exactly the same as St. John’s. The average amount of sunlight per day is 6.8 hours, one hour more than St. John’s. Even Iceland, a place that’s named after ice, has more bee-friendly weather than St. John’s. My bees have been bringing in yellow pollen (when it’s not freezing cold and snowing like it was yesterday) for the past few weeks now. I don’t think they’ve been getting it from dandelions, but I don’t know one way or another. Today is the first time I saw a honey bee on a dandelion. I like to post this kind of info for my own records. It has not been a warm spring so far. A week ago today, I asked if Newfoundland has had its final snowstorm of the year. The answer is no. Here’s my sad little beeyard this morning.